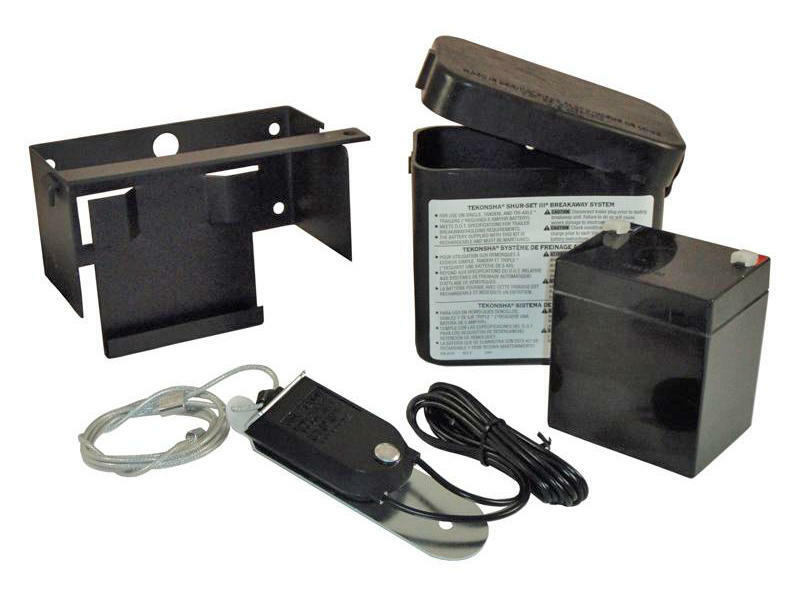 Designed for triple axle trailers, the Sure-Set III features a lockable battery mounting system. Tekonsha Engineering opened its doors in 1963 and at that time manufactured wooden steps for the Mobile Home Industry. In the mid 1960's they started manufacturing hydraulic brake controls (2014 & 2015). When the 70's came Tekonsha Engineering made a major break through, they were the first to break new ground with an electronic brake control (the sway control and the 2040). These units changed the company forever. They went on to manufacture the 2016 & 2017, which are hydraulic controls, and the 2030 & 2035, electronic controls. In the early 90's Tekonsha introduced the Commander™ and Voyager™ proportional electric brake controls. In 1993 they followed with the AccuTrac®, an inertia sensitive control and in 1995 the Sentinel™ was introduced as a monitoring unit. March of 1999 was exciting for Tekonsha™ with the launch of a new proportional control, the Envoy™. This unit has the best features of the Voyager™ and the Sentinel™ combined in one unit. Tekonsha's newest self-leveling proportional control, the Prodigy™, made an exhilarating release into the industry in February of 2001. It is the latest and most intelligent brake control from Tekonsha™. This powerful control features new motion sensor technology similar to what is used in the aerospace industry. In January of 2003, Cequent purchased Tekonsha Engineering.